The Lal Bahardur Shastri International Aiport near Varanasi is set to become the first Indian airport to have a national highway underneath its runway.The current runway will be expanded from 2750 metres to 4075 metres and a new underpass that will convert the highway into a four-lane road will be constructed. The Airport Authority of India (AAI) has given its nod to the airports runway expansion by building the underpass, which will keep the alignment of the Varanasi-Lucknow highway (NH-56) intact. It will become the first airport in India to have an automated smart facial recognition system under Prime Minister Narendra Modi’s DigiYatra scheme. India which is the world’s fourth-largest buyer of Liquefied Natural Gas (LNG) and imports the gas from Qatar, Australia and the US, began importing from Russia as it received the first 3.4 trillion British thermal unit (TBtu) of cargo at Gujarat’s Dahej terminal as a part of India’s new energy sourcing strategy. This 3.4 trillion British thermal unit of cargo followed the first US long-term LNG cargo from the Houston-based Cheniere Energy Inc that arrived in India in March. The Union Cabinet has approved an Agreement between India and Peru which was signed in May, 2018 at Lima, Peru. The agreement aims to establish the basis for a cooperative institutional relationship to encourage and promote technical bilateral cooperation on new and renewable issues on the basis of mutual benefit equality and reciprocity. The Agreement envisages establishing a Joint Committee to develop Work Plans in order to implement the Agreement. The Agreement will help in strengthening bilateral cooperation between the two countries. The Union Cabinet chaired by Prime Minister Narendra Modi has approved the continuation of the Three Year Action Plan (2017-2020) of the scheme for Agricultural Education Division and ICAR Institutes with an outlay of Rs.2225.46 crore for strengthening and developing higher agricultural education in India. The scheme is aimed to generate quality human resources from the institutions of higher agricultural education. It encompasses several new initiatives including, steps to attract talented students, reducing academic inbreeding and addressing faculty shortage. The proposal of Ministry of Development of North Eastern Region (DoNER) for the nomination of the Union Home Minister as ex-officio Chairman of North Eastern Council (NEC) – a statutory body with Governors and Chief Ministers of all the eight North Eastern States as its Member has been approved by the Union Cabinet. The Cabinet also approved that Minister of State (Independent Charge), Ministry of DoNER would serve as Vice Chairman of the Council.NEC implements various projects through the State and Central agencies. Under the new arrangement with Home Minister as Chairman and Minister of DoNER as Vice Chairman, NEC and all the Governors and Chief Ministers of North Eastern States as Member would provide a forum for discussing inter-state matters more comprehensively and also consider common approaches to be taken in future. Shujaat Bukhari, the editor of regional newspaper Rising Kashmir was shot dead by the terrorists in Srinagar, Jammu and Kashmir. He was previously the Kashmir bureau chief of The Hindu for 15 years. Shujaat had been provided police protection since an attack on him in 2000. The Madras High Court delivered a split verdict in the case against disqualification of 18 rebel AIADMK MLAs in Tamil Nadu, thus referring the case to a third judge to decide. Last year, the State Assembly Speaker P Dhanapal under the anti-defection law disqualified the MLAs who were supporting sidelined leader TTV Dhinakaran. Irish author Mike McCormack has won the Rs. 80 lakh International Dublin literary award for his one-sentence novel Solar Bones. The International Dublin Literary Award is an international literary award presented each year for a novel written in English or translated into English. It aims to promote excellence in world literature and is solely sponsored by Dublin City Council, Ireland. At €100,000, the award is one of the richest literary prizes in the world. Union Health and Family Welfare Minister JP Nadda inaugurated the 10th Meeting of Global Alliance to Eliminate Lymphatic Filariasis (GAELF). He said that with the concerted efforts of the Government, State governments and development partners, 100 out of 256 endemic districts have achieved elimination target and stopped Mass Drug administration (MDA) after successful validation by Transmission Assessment Survey (TAS) and are under post-MDA surveillance. The strategy to eliminate Lymphatic Filariasis in India was based on twin pillars of MDA once a year for interruption of transmission and to cater to the patients already afflicted with the disease with morbidity management. Dr. Bindeshwar Pathak, Founder of Sulabh International and recipient of the prestigious Nikkei Asia Prize of Japan. 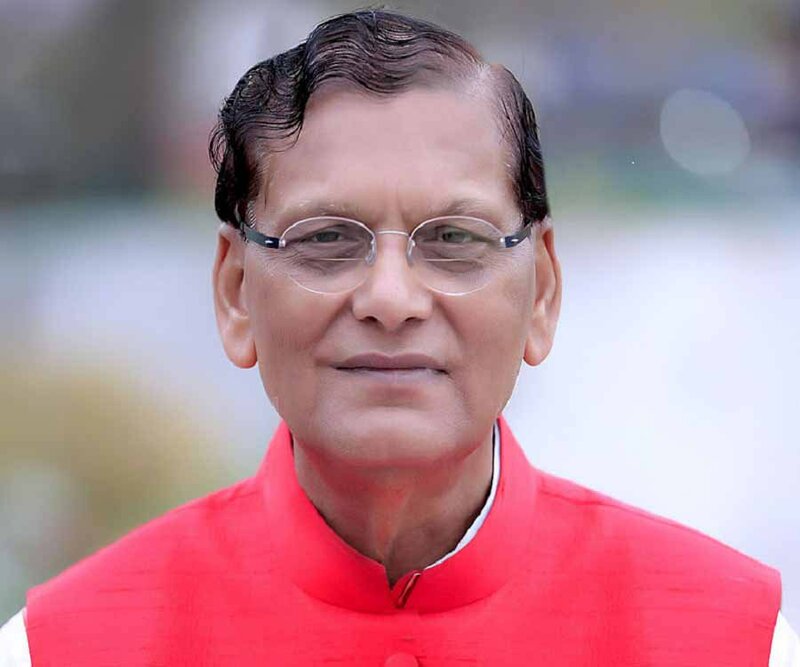 Dr Bindeshwar Pathak (75), renowned social activist and founder of Sulabh International, was honoured with the Japan’s prestigious Nikkei Asia Prize for his contribution to Asia’s development. He was presented with this award at 23rd Nikkei Asia Prize ceremony held in Tokyo, Japan under “Culture and Community” category for his significant work in tackling poor hygiene and discrimination. Nikkei Asia Prize has been presenting awards since 1996 to honour people in Asia who have made significant contributions in one of three areas: Economic and Business Innovation, Science, Technology and Environment and Culture and Community. Former Prime Minister Manmohan Singh and Infosys Chairman Narayan Murti are among few Indians who have won this prize in the past. The NITI (National Institution for Transforming India) Aayog launched Composite Water Management Index with an aim to achieve the objective of “Sabka Saath, Sabka Vikas”. It will be a useful tool to assess and improve the performance in efficient management of water resources. This index is an attempt to inspire States and UTs towards efficient and optimal utilisation of water and recycling, with a sense of urgency. The index will provide useful information for the States and also for the concerned Central Ministries to enable them to formulate and implement suitable strategies for better management of water resources. A mobile-based application ‘utsonmobile’ to enable cashless ticketing has been developed by the Centre for Railway Information System (CRIS). It is another step towards digitalisation and achieving a cashless economy. This app will enable booking and cancellation of unreserved tickets, issue and renewal of season and platform tickets and checking and loading of R-wallet balance. It will also help maintain user profile management and booking history. The Solar Charkha Mission of the Ministry of Micro Small & Medium Enterprises (MSME) will be launched by President Ram Nath Kovind on June 27, 2018 in New Delhi. The Mission has been approved by the Government of India and will disburse subsidy of Rs 550 crore to the artisans. It will cover 50 clusters and every cluster will employ 400 to 2000 artisans. The information was shared by Giriraj Singh, Minister of State (I/C), MSME, while releasing a booklet on the 4 years achievement of his Ministry. The Minister further informed that 15 new state-of-the-art technology centres are being set up all over the country including North-East, of which 10 centres will become operational by March 2019.Each of the centres will be built at a cost of around Rs 150 crore. 1. Which is the first airport to have an automated smart facial recognition system? 2. Who got the 23rd Nikkei Asia Prize under "Culture and Community" category? 3. Which among the following is a mobile-based application to enable cashless ticketing that has been developed by the Centre for Railway Information System (CRIS)? 4. What is the Solar Charkha Mission for? 5. What is the objective of the NITI (National Institution for Transforming India) Aayog's Composite Water Management Index?